It was cold saturday evening when I did not have the mood to cook anything. While just lazing on my couch, a sudden craving to eat bread with fruit spread with a cup of tea crops up. While the stove was already on for the tea, my hands started to knead the dough for a fresh homemade sweet bread. Sometimes I wonder why I get this urge to make something at home, and not run to a store and get it within minutes… Cos its not only the product that you crave for, but also the ﻿w o n d e r f u l ride that comes with it, from thought to work, it definitely boosts my energy levels. 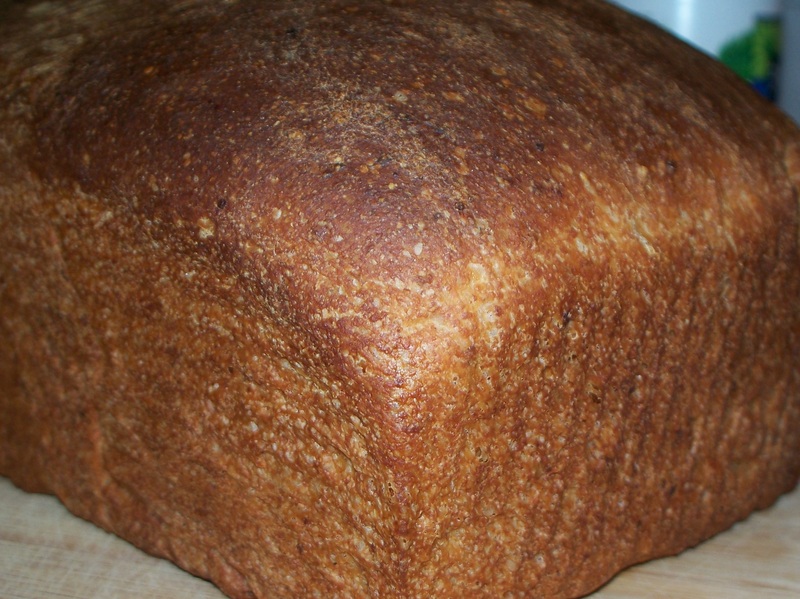 This bread is a slight variation from a usual sweet bread. I used something called a starter made of spelt flour. Combine 1 cup of spelt starter + 1.5 cups of bread flour + 1 cup of whole wheat flour + 1 tsp yeast + 2 tbps honey or brown sugar + 1 tbps milk + 3tbps vegetable oil + 1 tsp salt in a wide bowl and knead gently for 7-8 minutes. Note** I didnot add any water, the water in the starter and the moisture from the other wet ingredients were enough to hold the dough. Cover and let it rise until double, mine took approximately 1 hour. Punch down the dough with care, knead softly for 4-5 minutes and shape the dough into a loaf, and let it sit for a second rise in a loaf pan. This would take about 45 minutes – 2 hours. Brush the top with water and bake at 350 for 35 minutes.